OAKLAND, CA - The Center for Biological Diversity today filed a notice of intent to sue the U.S. Forest Service for authorizing livestock grazing on the Humboldt-Toiyabe National Forest without considering the potential impacts to federally protected Sierra Nevada yellow-legged frogs and Yosemite toads. Yosemite toad by Lucas Wilkinson, U.S. Forest Service. Photos are available for media use. Livestock grazing and other activities on Forest Service lands have contributed to the declines of both amphibians. But before approving grazing on a series of allotments earlier this year on the Humboldt-Toiyabe, the Forest Service did not consult with the Fish and Wildlife Service to ensure that livestock grazing would not jeopardize the survival of the protected frogs and toads, in violation of the Endangered Species Act. Sierra Nevada yellow-legged frogs have suffered dramatic declines in range and numbers due to habitat destruction and degradation from activities like grazing, disease, predation by nonnative trout, pesticides and climate change. The musical mating calls of Yosemite toads were once a common pleasure for visitors to the High Sierra. But the toads have now disappeared from many areas and suffered population losses, including in Yosemite National Park, where they were first discovered and given their name. 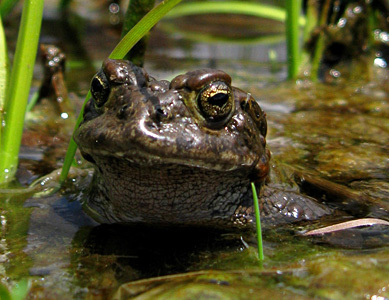 Yosemite toads are threatened primarily by livestock grazing, climate change and pesticides. Both species, when abundant, play a vital link in energy and nutrient cycling for properly functioning meadows, ponds and adjacent forest ecosystems. According to the U.S. Fish and Wildlife Service, livestock grazing is a threat to both species and may also limit their recovery.